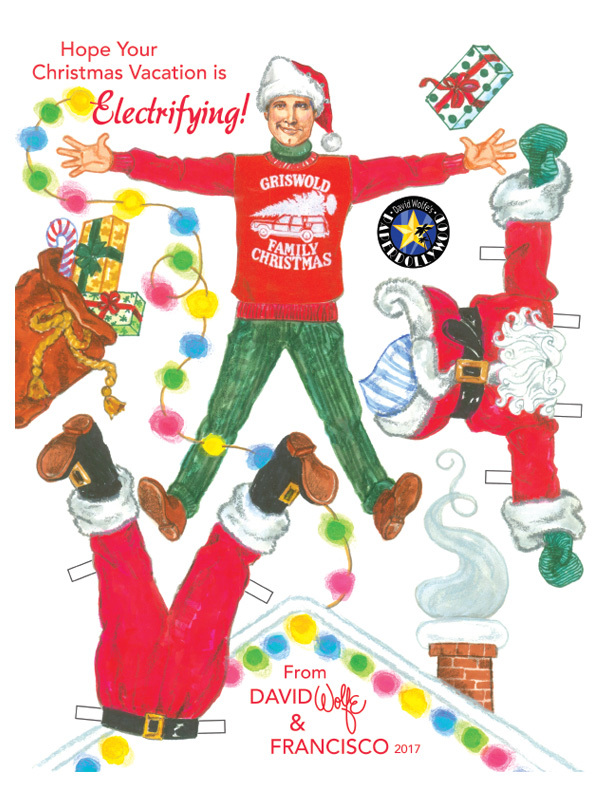 This year, my Christmas Paper Doll card is inspired by the 1989 movie National Lampoon’s Christmas Vacation starring Chevy Chase. Click here for a high res image. 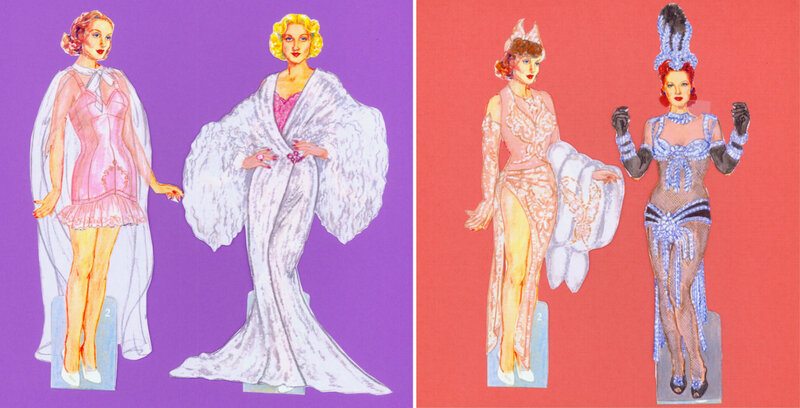 Since 2002 I've been creating a Hollywood inspired paper doll, and they're all archived on Paperdollywood.com (click on the David Wolfe tab and scroll down to the Christmas section). Click here for a high res version. Christmas in New York is always a visual feast, a happy holiday tradition, a heartwarming eye-candy gift for the hordes of window shoppers. Most major department and specialty stores still forsake a hard sell and deliver crowd-pleasing entertainment. Several stores honored the city itself. In one window, Macy’s featured the flagship store in miniature, opening up like a doll’s house. Other Macy’s windows playfully portrayed a revolving bird’s eye view of Central Park and another, the East River trams. Bergdorf-Goodman honored New York institutions such as the Philharmonic and the Museum of Natural History with windows packed with glamorous and amusing props. Saks Fifth Avenue devoted all their Fifth Avenue windows to commemorate the 80th anniversary of Disney’s first feature length cartoon, “Snow White and the Seven Dwarfs.” Lord & Taylor’s tasteful winter wonderland was sweet and sentimental. Although the windows are a traditional people-pleaser, there is a growing trend for some buildings to decorate the edifice itself, not just windows. Cartier is wrapped with electrified red ribbon and silky flags. Tommy Hilfiger’s store is decorated with lavish stripes of gilded ornaments while Tiffany’s is hung with two huge glittering decorations. Rockefeller Center’s tree is greener than ever and stylized white angels once again line-up on the promenade. The city is bedecked and bedazzled as ever, wishing Merry Christmas to all and to all a Good Night! Macy’s 34th Street Store as a Big Doll’s House. Macy’s bird’s eye view and Saks’ Snow White. 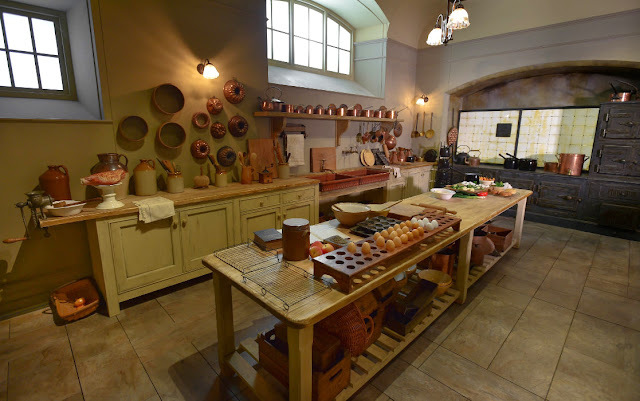 For fans of Downtown Abbey pining to revisit the phenomenally popular TV series, it’s possible to once again be transported to the stately home of Lady Mary, His Lordship, Carson, Mrs. Patmore and the rest of the beloved characters. 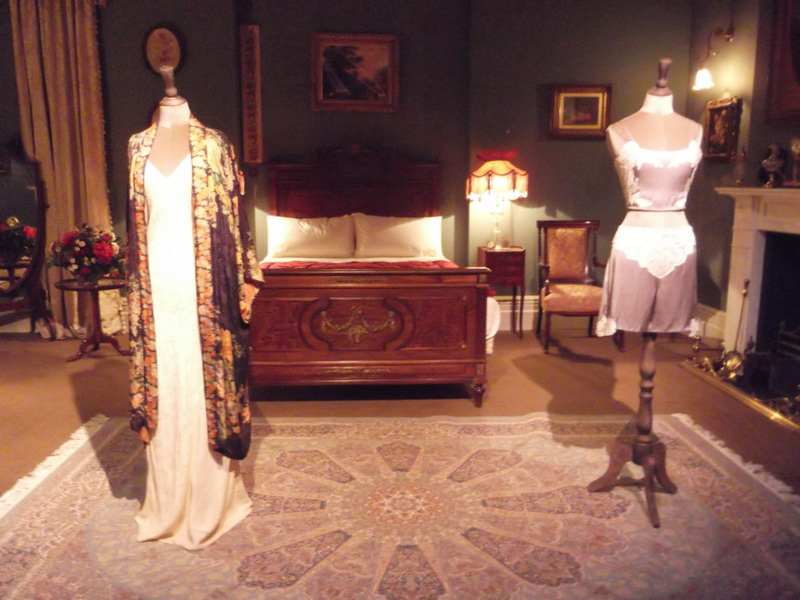 Downton comes to life again with a fantastic exhibition in New York City. “Downton Abbey: The Exhibition” is housed in a big three-story space on 57th Street and it is packed with people who loved the six season serial and are emotionally entranced by the sight of costumes, props, furnishings and film clips. 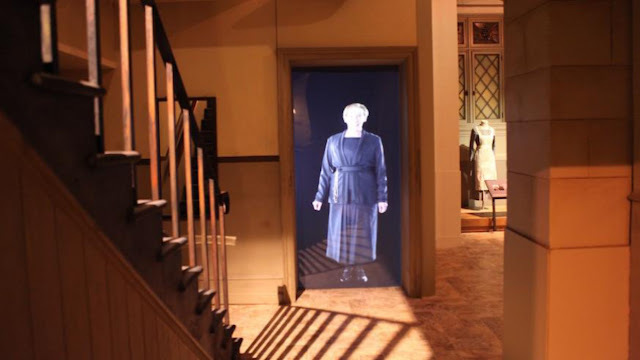 The evocative theme music sets the mood as visitors are greeted by a life-size hologram of housekeeper Mrs. Hughes and the sonorous voice of Carson, the butler. The first floor is devoted to the below-stairs staff, the fully-equipped kitchen and Carson’s office. The second floor houses the grand dining room with an Edwardian setting, Lady Mary’s boudoir and many informational displays and film clips. The third floor is devoted to the gorgeous costumes. Noteworthy are the extravagantly beaded frocks, but it is the trio of wedding dresses that have the devoted fans brushing away tears. Visitors exit through a well-stocked gift shop. The exhibition has a timed-ticket seniors’ price of $28 and can be purchased online at DowntonExhibition.com. For those who want their teacake and eat it too, a luxurious Edwardian tea is available at the nearby Whitby Hotel for $45 per person, 212-586-5656. Welcome from Mrs. Hughes Hologram. 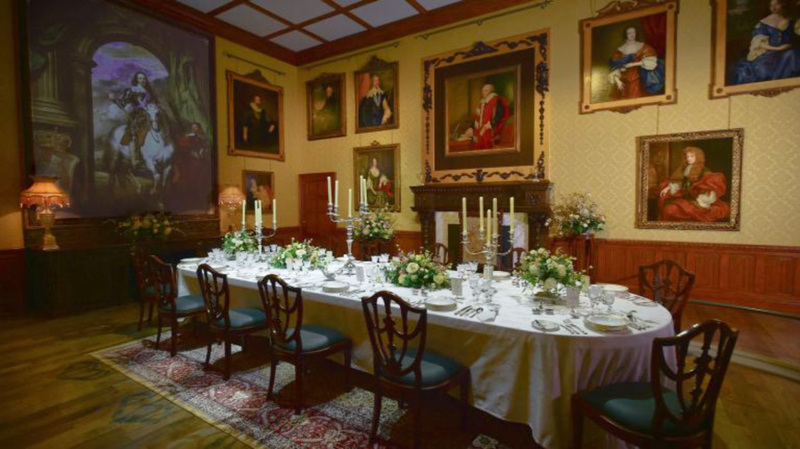 Downton Abbey Elegant Dining Room. 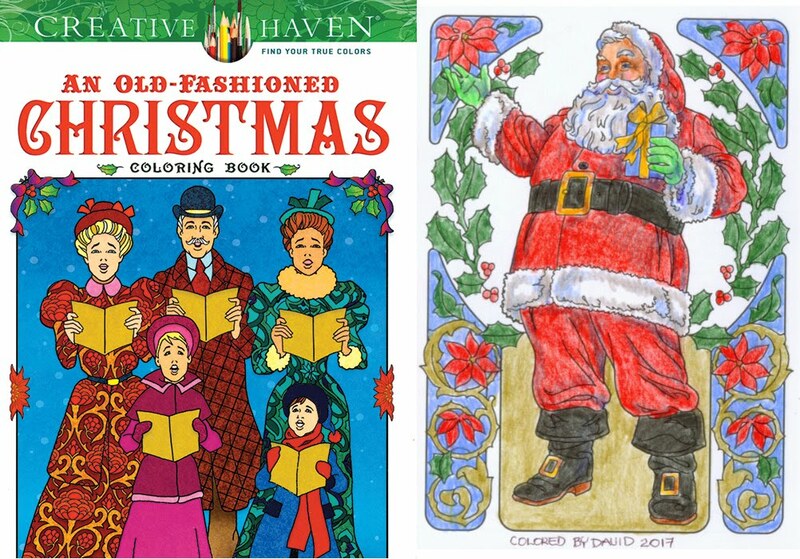 My monthly coloring book fun added holiday hues to a Dover Book published in 2016 and available from paperdollreview.com. An Old-Fashioned Christmas by artist Ted Menten is drawn with a great deal of charm and depicts a traditional Christmas celebration. In a season of stress, coloring for a few hours truly does bring peace on earth. Ted Menten's Old-Fashioned Christmas Coloring Book Cover and Colored Page. 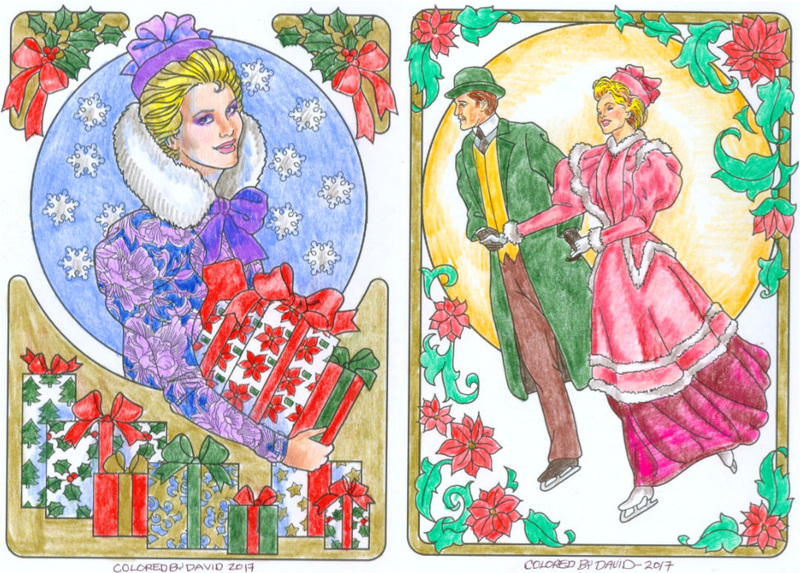 Ted Menten's Old Fashioned Christmas Coloring Book pages colored by David. Seldom is there a fashion season when plaid does not appear. At Christmastime, the plaids are usually red and green, but fashion-wise, often the most successful plaids are woven with menswear in mind, classy classics in neutral colors. Those classic masculine plaids are rebooted for spring ’18, a season of pretty plaids that are woven with feminine intentions. Color is the key to plaid diversity, sometimes soft shades and other times, richly saturated. This season’s plaids sometimes turn up as classic Prince of Wales pattern. Newer are varied scales and newest are the occasional collision of plaid-with-plaid or with prints. Pretty Plaids by Chanel, Sacai and Marni. Not Quite Classic Plaids by Christopher Kane, Etro and Dries Van Noten. Mixed Plaids by Balenciaga, Katrantzou and SMGM. Undressed but all Dressed Up! I have just completed Hollywood Gets Undressed, my latest paper doll book to be published in 2018 by Paper Studio Press! The book contains 36 outfits including racy, lacy lingerie, feather-trimmed negligees, period underwear and some naughty, scanty costumes that were shocking in movies years ago. Here are the dressed-up dolls. Costumes from Raintree County, Two Weeks with Love, Eternally Yours and Our Blushing Brides. Costumes from The Women, Dinner at Eight, Ladies of Burlesque and Gentlemen Prefer Blondes. Costumes from The Owl and the Pussycat, The Best Little Whorehouse in Texas, The Thin Man, The Trojan Horse and Seven Brides for Seven Brothers.